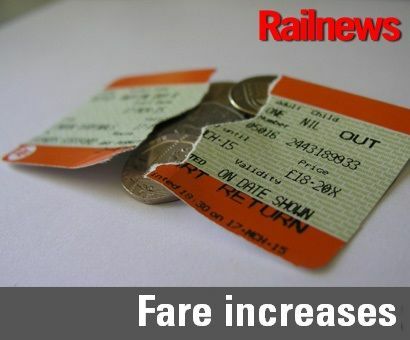 PREDICTIONS that rail fares could rise by 3.5 per cent in January have sparked a new debate over rail tariffs, fuelled by a further round of cancellations on Northern yesterday. About 80 services were lost, which were attributed by Northern to ‘difficulties’ in scheduling crews. The deputy Mayor of Manchester said the service was now becoming ‘a weekly shambles’. The timetables introduced at the end of July had been intended to improve performance, although more forthcoming strikes are again set to cause disruption on 25 August as well as on 1 and 8 September. Train crews are not obliged to work on Sundays if they give seven days’ notice that they will not be available, but Northern has denied claims that it does not employ enough staff. The operator said: “We actually have more drivers than we need to run a full timetable in normal circumstances. Ongoing engineering projects have caused severe difficulties around the short-notice scheduling of our train crews. This is the root cause of what has required us to make these planned cancellations to our main Sunday timetable. Protests about continuing performance problems have been heightened by reports that July’s Retail Prices Index was 3.5 per cent, which is likely to mean that regulated fares will rise by the same amount in January, unless the government intervenes and changes the formula. Confirmation of last month’s RPI is expected on Wednesday. Meanwhile the Consumers’ Assocation, which publishes ‘Which?’, has called for compensation for disrupted journeys to be extended by introducing automatic payments to all passengers with Advance tickets. Because they must travel by a specific train they can be identified if their train is delayed. An automatic ‘delay repay’ system of this type was introduced by Virgin three years ago, but it is still the exception.